Emerald is on of the most famous gemstones that has been sought after since ancient times. Emeralds, like people, are often beautiful but never flawless, near flawless stones are expensive and extremely rare. 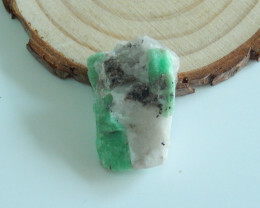 Inside an emerald you can find vanadium and chromium, but at it core this gemstone is a variety of beryl, the same mineral as Aquamarine and Morganite. 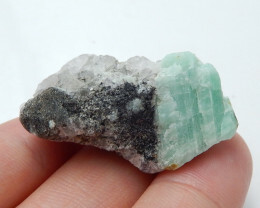 Since the Emerald is part of the Beryl family, it shares the same properties One of these properties is the hardness, which sits at 7.5 - 8 on the MOHS. This is hard in terms of wearing in jewellery, however it should be noted that Emerald is extremely brittle. The finest Emerald stones have a pure green hue and are free from inclusions. This quality of stone is extremely rare. Almost all Emeralds on the market will contain eye visible inclusions. This is not a bad thing, it is simply the way the crystal grows in nature. 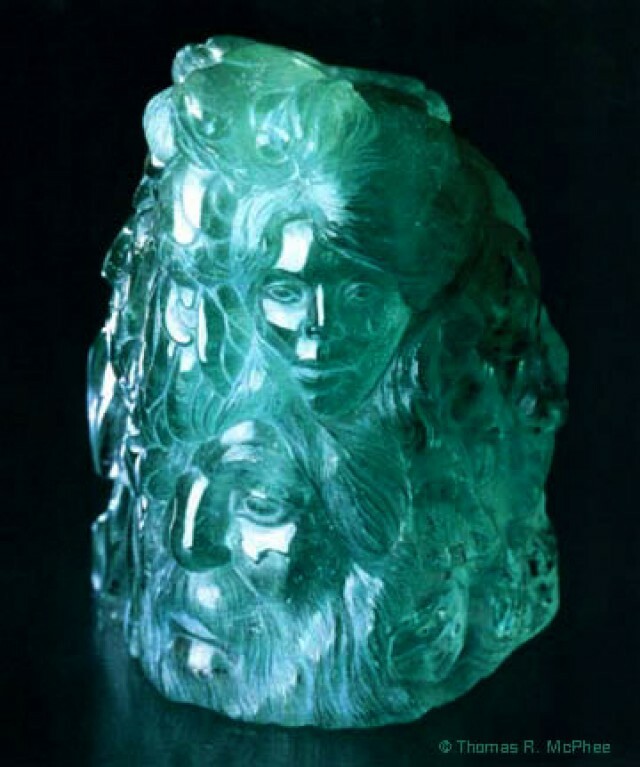 The name “emerald” as originated from Latin, particularly from Esmeraldus. At its core, this name has a Greek origin. Emerald is the birthstone for those born in May. Much the same as any other gemstone, Emerald is generally known as having a few properties that characterize its looks and value. 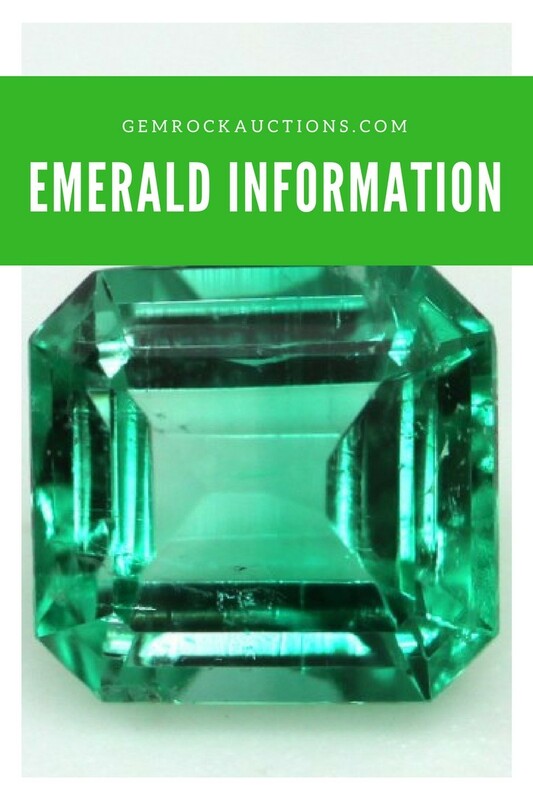 These are color and clarity, but while in the case of different gemstones clarity is very important, the reality is that the emerald color is primary consideration. Clarity is obviously still a thought although some practically opaque stones can still be valuable if they have an intense color and are of good size. When you assess an Emerald by color, there are three major components that you need to pay special mind to, and these are tone, hue as well as saturation. Their primary hue is green, however here and there you can find blue and yellow just like the secondary hues. The best emeralds you can find available on the market are bringing 75% tone and saturation. The normal saturation when it comes to emeralds is grey. Most emeralds have breaking fissures on the surface so they are easier to grade in view of clarity. The fascinating thing to know here is that every emerald has its unique set of imperfections, so it’s easy to identify a certain stone without that much hassle. You can find emeralds with an oval cut, emerald cut or a rectangular cut, depending on the circumstance, with surprising results that you will appreciate. Most emeralds are oiled with colorless oil as part of the post lapidary process, in order to improve their clarity. Cedar oil, with a similar refractive index to Emerald, is often used. Other liquids, including synthetic oils and polymers with refractive indexes close to that of emerald such as Opticon are also used. The use of oil is traditional and largely accepted by the gem trade. The use of Green-tinted oil is not acceptable in the trade. Cerar oil can turn yellow after a period of time as it begins to oxidise. This imparts a yellow tinge onto the Emerald. Continued oiling over a period of time will lead to the Emerald becoming stained internally with the yellow oxidation. But remember this is subject to interpretation: some gem labs consider the mere presence of oil or polymers to constitute enhancement. Others may ignore traces of oil if the presence of the material does not materially improve the look of the gemstone. A high quality emerald with an enhancement level of moderate should cost half an identical stone graded none. In general Cedarwood is used for high grade stones and polymers and resin for Commercial grade stones. It should also be noted that the material used in treatments can be due to the geographical location of the Emerald. In the Indian cutting hub of Jaipur Johnson’s baby oil is used. In South American countries like Colombia Cedarwood oil is used, but so are other mediums such as Palma. Istanbul’s Topkapi Palace is filled with ornaments and tools, including daggers, all made of precious Emerald. 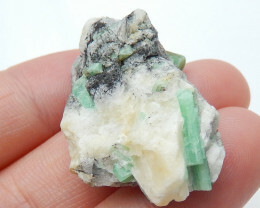 TheChalk Emerald is possibly th finest and cleanest Coumbian Emerald ever found. It is 37.82cts and has a stunning green hue. Emerald history can be traced right back to the Egyptian times where Cleopatra had many Emeralds mined for her jewelry. The source of these ancient Emeralds is believed to be somewhere near the Red Sea. These mines are now commonly referred to as “Cleopatra’s Mines”. 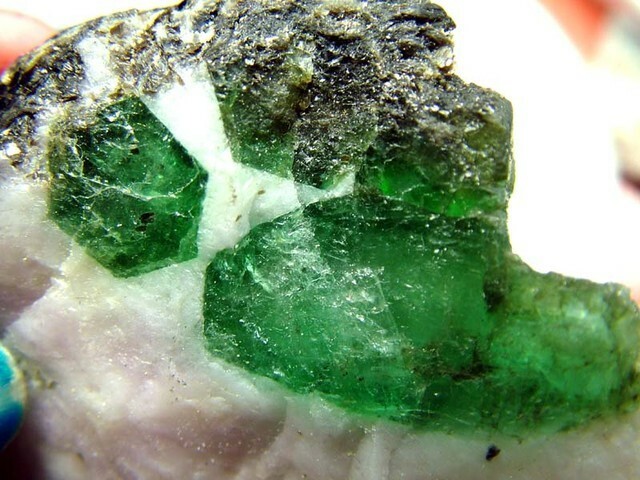 The geology behind the Emeralds creating is fascinating. It is believed the Emeralds are one of the oldest gemstone on the planet. Some estimates have stated that Emeralds where already growing under the earth as far back as 2600 million years ago. The element that is responsible for the color in Emerald is Chromium and Vanadium. In some places around the world, these elements can be found in abundance. 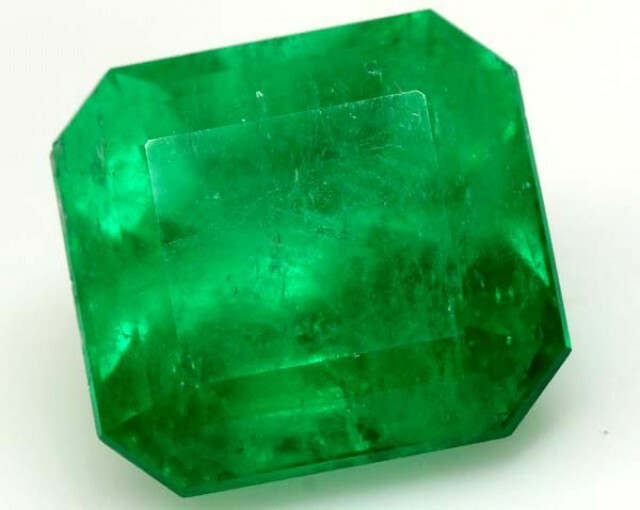 Te other ingredient needed to create Emerald is Beryllium. These elements are brought up to the surface through tectonic separation. This same process also causes many fractures in the gem as the tectonic plates move apart. This is why most Emeralds are flawed and why a clean Emerald is very hard to find. The two main factors in Emerald are colour and clarity. For the every day buyer, colour should always take precedence over clarity. If you need to pick between a vivid green, included stone and a lighter coloured clean stone, always pick the vivd green. 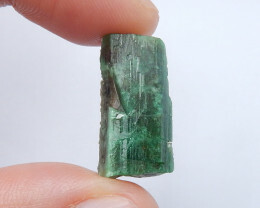 Zambian Emeralds: will tend to be generally less included with less surface fissures but the color will not be as good as Colombian or even Brazilian. You can see Calcite inclusions. At first, amid vestige, the emeralds were minted in Egypt, India and Austria, however these days nations like Zambia, Colombia and also Tanzania, the US, Australia and Afghanistan produce gem quality Emeralds. Colombia particularly is known for the nature of their Emeralds, with some of the world finest examples coming from this region, where a large portion of the mining is still done by small scale artisan-al excavators. Mining in other locations, notably Zambia, are on a bigger scale where organizations such as Gem fields operate oversea larger scale operations.